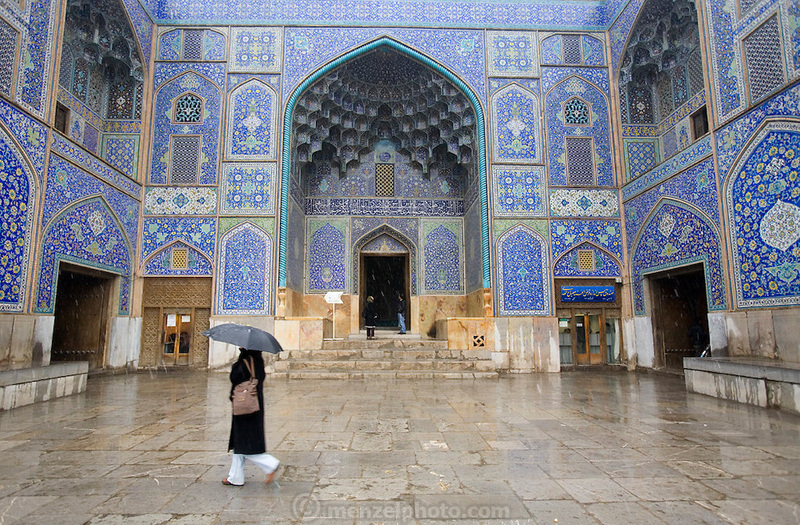 A woman carrying an umbrella in the light snow and rain, passes by the beautifully tiled private mosque called Sheikh Lotfollah Mosque. Imam Square, Isfahan, Iran. (Also referred to as Emam Square). (Imam Square is also called Naghsh-i Jahan Square).